The last time Republicans faced a crisis of succession for Speaker of the House, they turned to a quiet figure from Illinois, Dennis Hastert, to lead them. With Peter Roskam, the House GOP may again find the answer in Illinois. Not that Republicans want history to repeat itself. Hastert’s name has bad associations for the GOP. He led the caucus through a period of bloated government and scandal, losing his gavel in the wave election of 2006. This year, Hastert was indicted on federal fraud charges, pleading not guilty, and was also accused of sexually abusing students at the high school where he once worked. 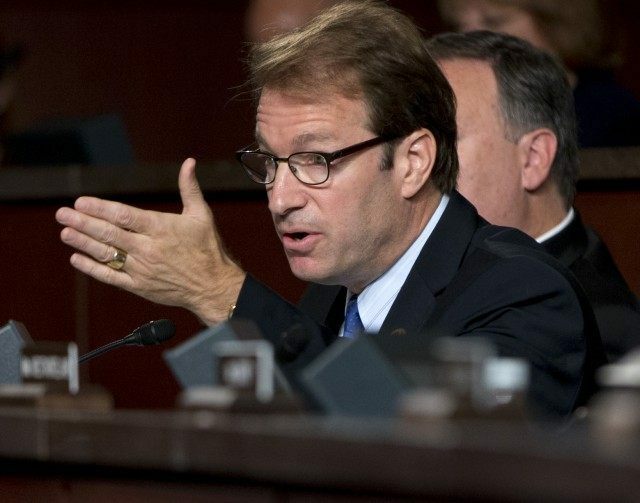 Roskam represents an antidote to the party’s sordid past. He won his seat the year Hastert led the party to defeat, narrowly defeating Tammy Duckworth, who decided to try her luck in another district (and eventually won). Roskam quickly won a reputation as the most conservative member of the Illinois caucus on economic issues. He also developed a strong voice on foreign policy, supporting the Iraq surge under George W. Bush and, more recently, helping to lead House opposition to the Iran deal. After 2008–where Roskam held onto a pro-Obama district, controversially, by touting Obama’s past praise for him–Roskam rose through the ranks quickly, serving as Chief Deputy Whip (like Hastert) until 2014, when he was out-maneuvered by Steve Scalise, who had announced his candidacy first in the wake of Eric Cantor’s stunning primary defeat. National Review calls Roskam the “next-next Speaker,” perhaps a sign that he will emerge if Paul Ryan declines the job, or fails to scrape together the 218 Republican votes he will need to prevail. The party could certainly do worse.